Amsterdam based Volkshotel invited artists Dennis Duijnhouwer, Astrid Verhoef and Noël Loozen to stay in Volkshotel for 24 hours. Based on their own interpretations of the 24 hours, they created photography work and video installations. Varying from day to night, from documentary style to more conceptual work; they all captured the experience in their own way. The results were on show during 24hrs at Volkshotel. Noël listened to people’s complaints for 24hrs and turned some of the funniest or worst complaints into photos. Noël now has a weekly column in PS Magazine in which he does just that! My sandwich bags always tear open on both sides. I get annoyed by people who don’t put out their cigarette properly. I ripped my dress on a cactus in your hotel and now I want a new one. Muesli is all there is! Why are there no hooks in the bathroom? why are there hooks in the toilet? Why does Amsterdam sell these stupid Nepalese hats as a souvenir? They should be forbidden by law! 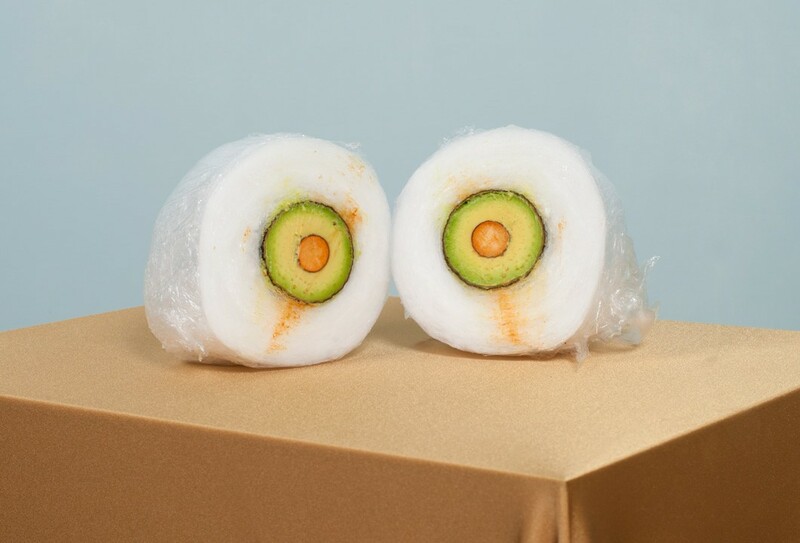 Why is the edible avocado that is wrapped in so much plastic the same price as the less edible avocado without plastic?